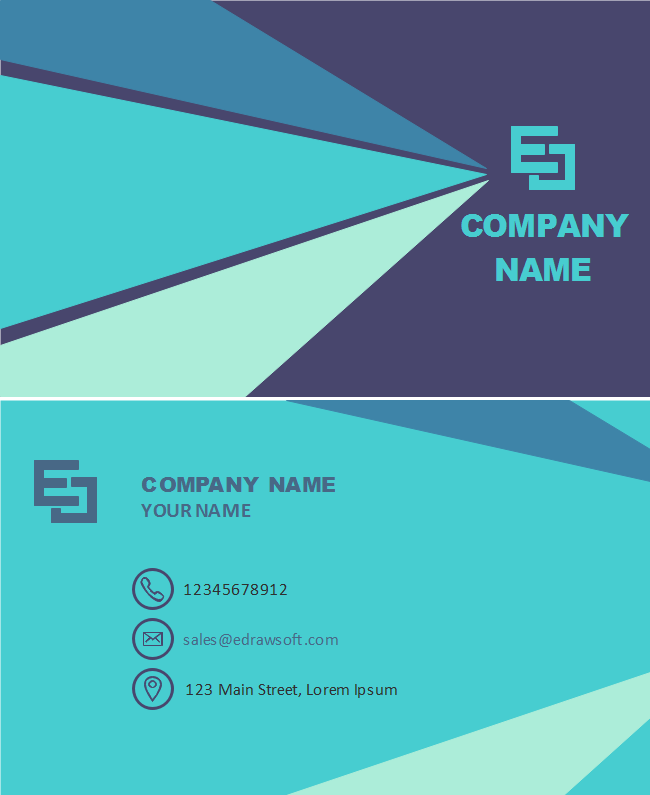 Description: Show your professionalism to partners by freely editing this dark blue background turquoise business card template. With Edraw, you can design any neat and sweet business cards within minutes. Explore for more available templates in the free download version now.